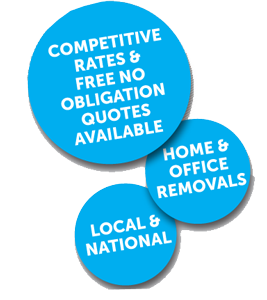 Contact TASC Removals and arrange for a free quote. Tell your phone company that you are moving. Give your solicitor your new telephone number. Arrange meter readings and disconnection at your present address. Confirm that you are taking over gas and electricity at the new address. Start to plan your packing and what you will need. Click on packing materials on our home page for help and advice. Check that your home and contents insurers know about your move make sure that cover will continue and that they have your new contact address. Start to organise your packing. Pay any outstanding milk, newspaper bills etc. Post your change of address cards. If you have pets, arrange for them to be looked after on the day of the move. Finish off your packing apart from your overnight bags if required. Keep dust sheets handy to protect the carpets while the boxes and packing cases are being carried out to the van. Keep a supply of light bulbs and a telephone ready for use at your new address. Make sure you have cash and your chequebook handy.